Mrs. Alasey, received a donation form Somali Diaspora. After 1991, Somali central government was collapsed by militia based on clan system, due to heavy fighting among Somali clans which resulted killing more than thousands of innocent people as well as disabling other thousands of civilians due to blast injuries related and gun shots. Also, more than one million Somalis have fled and seek refuge around the world. According to the World Health Organization 10% of the world’s population is composed of disabled people, but it is unknown how many Somalis are affected as reliable data is difficult to compile due to decades of conflict. 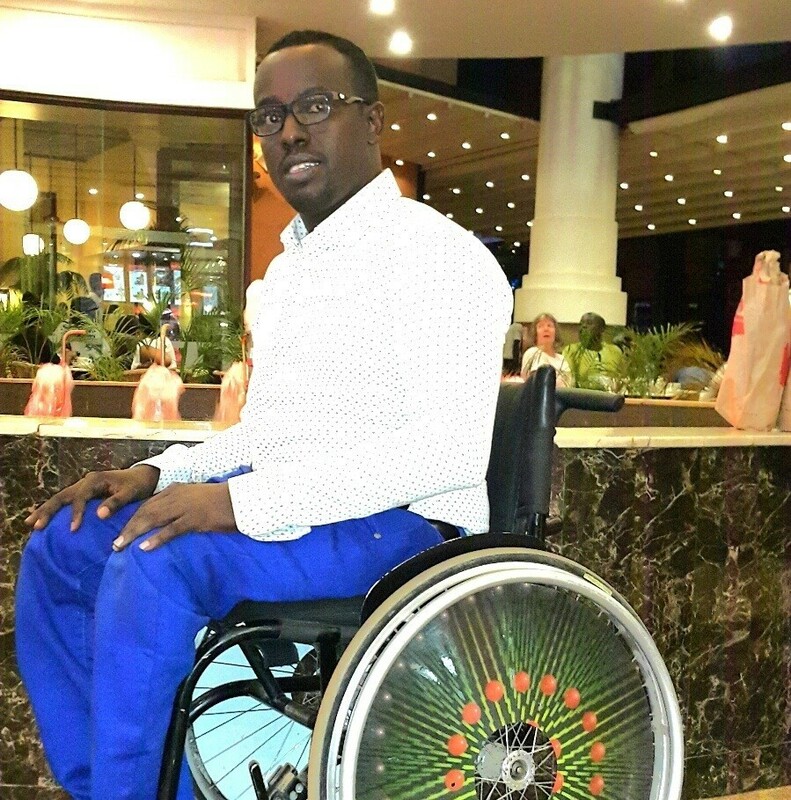 Person with disabilities in Somalia as in many other countries, face numerous challenges that result in their exclusion from mainstream of society, making it difficult for them to access their fundamental social political and economic rights. Many make their way through life impoverished. Abandoned uneducated, malnourished, discriminated against, neglected and vulnerable for them, life is daily struggle to survive. Whether they life in urban centre’s or in rural areas, they share those common problems. They are largely excluded from essential services and lack protection of the family and community, and often at risk of exploitation and abuses. Factors contributing to this pathetic situation are many and varied but include poverty, unemployment social isolation, and environmental institutional attitudinal and economic barriers. A 2011 report titled ‘Disability Rights in Somalia’ released by the Swedish International Development Cooperation Agency confirms that the number of disabilities in Somalia increases by 20 people daily, and suggests 12-15% of the population are disabled. 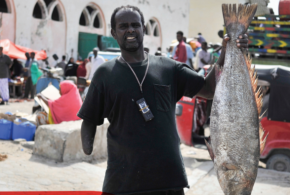 The World Blind Union reported Somalia does not have a national coordination agency responsible for establishing disability policies due to lack of sufficient resources. Somalia’s Federal Government has been focused on the most fundamental issues such as security, education and narrowly on health. 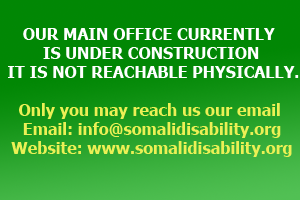 Other non-governmental organizations like Somali Disability Empowerment Network (SODEN) that operates in Somalia are unable to access to know the real number of disability in Somali for the sake of financial reasons and the security of some regions in Somalia are hard to collect a reliable data. If we add the prediction of terror attacks, explosions and extreme poverty, that figure could rise up to the above estimation 12-15% or more. In Somalia, these statistics are painfully evident. The country is one of the worst place in the world that Disabled person can live and most alarming humanitarian crises in the world. UNHCR estimates that 1.5 million people are displaced within the country, many in areas inaccessible to humanitarian workers. The recent civil war resulted in many Somali civilians losing their sight /limbs and suffering dreadful injuries often caused by landmines or other explosives. In 2010, at least 7,600 people reported weapons-related injuries in the capital of Mogadishu. Children with special need do not attend to the school for the sake of their disabilities, if you visit the classes in different schools as randomly, you will never see any child with Disability who is in the class and they are all kept remained in the house. That problem can be caused only by one sector, lack of Awareness in the community. Some families see disability as a curse or penalty from God and favored to keep their disabled children inside their house. Girls with disabilities are predominantly vulnerable and parents don’t understand the meaning of education for their disabled child. In myself, I conducted a survey around ten (10) schools in Mogadishu and I wanted to know the number of children with disabilities at school. My estimation came to conclude that less than one per cent of disabled students are enrolled to the school. As a limited number of our beloved children are in schools, I am sure that children with disabilities are very understandable and more active than able children according to education. In Somalia, generally people with disabilities are stigmatized and segregated in the community and they are called a name referring to their Disability like Handicapped (Curyaan) or Blind man/woman (Indhool). And the other embarrassing thing is that when in the community, they don’t get their role about social life such as dating and marriage. If you are disabled person, it is hard to marry women or man without Disability and they even believe if they marry someone disabled they envisage their future babies or children will be disabled. 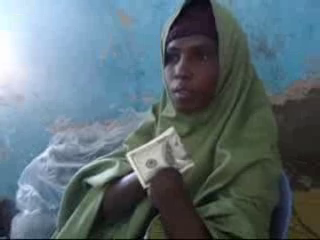 Mar 11, 2015 as Amnesty International released a press release concerned the plights of people with disabilities in Somalia Amnesty International called on the Somali Federal Government to take concrete steps to tackle the continued abuses of people with disabilities, including through the development of a national legal and policy framework and ratification of the Convention on the Rights of Persons with Disabilities. 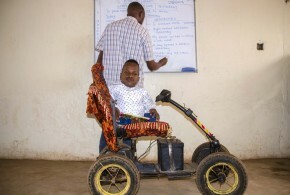 “People with disabilities face greater abuse in Somalia, are often seen as a burden or as easier targets to attackers. 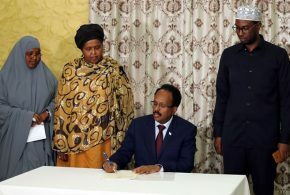 Somalia must do more to protect their rights, rather than allow them to be subject to further abuses because of their disabilities,” said Gemma Davies, Amnesty International’s Somalia Researcher. Mrs. Alasey a 40 year old woman in which both her hands was chipped off by her former husband with machete after he became jealousy over her. “My former husband made me amputee in my upper limbs after he became jealousy over me.” Now Mrs. Alasey is living a painful style of life. Prevent them from “fitting in” and being accepted. To add in the constitution of Somalia the rights of persons with disability because current constitution of federal Somalia doesn’t mention the rights of persons with disabilities. To establish a disability department under the president’s office to facilitate disability issues. To held national Disability forum meeting aimed to empower entire Somali Disability in the country. A great amount of aid flow into the Somalia territories in every year, with no amount of it reaching the most needed ones, the disabled society. The UN and the international agencies don’t give much priority and attention to the most in need in the society, the disabled people. Exclusion leads disabled to falls further into chronic poverty with little opportunity of breaking out of the cycle. When the main family breadwinner becomes disabled the whole households risks sliding more deeply into poverty. Removing barriers and enabling disabled to contribute could help reduce poverty in the whole community. Conversely, without their inclusion sustainable poverty reduction for the whole community may not be achieved. (UNOCHA) Humanitarian Bulletin Somalia issued on 24 April 2015. 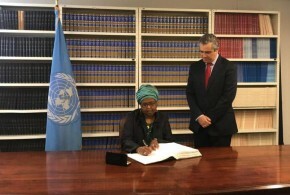 About US$ 122 million has been received for humanitarian activities in Somali this year, according to the online Financial Tracking Service this include $94 million reported against the $863 million required to address needs identified in the 2015 Humanitarian Response Plane and another $28 million reported outside the appeal.